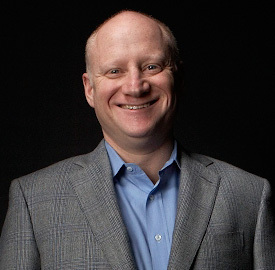 We sit down with Ben Feder, CEO of Take-Two Interactive, as well as Public Affairs VP Alan Lewis, to discuss the latest innovations in video games: Sony and Microsoft’s motion controls, gaming on 3-D televisions, and the success of downloadable content. Kevin Ohannessian: What’s your favorite thing at E3 this year? Ben Feder: Can I say my own games? We’re really excited about the first-party controllers. I think what Sony is doing is exciting, what Microsoft is doing is exciting, what Nintendo is doing is exciting. It’s all going in different areas. It’s all goodness, all ways in which we can innovate, first-parties can innovate, without dealing with console shift. Console shift is exciting, but it is also very disruptive. This doesn’t feel disruptive, but it does feel like a lot off upside in terms of innovation and creative. We’re excited about that, we’re excited about our own games. 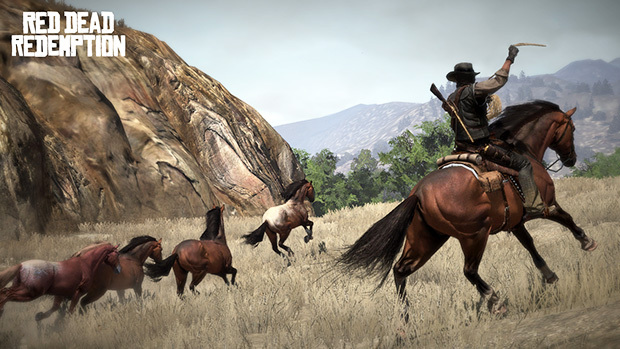 It helps to have a hit already in the marketplace with Red Dead Redemption. We’re in a good place with retailers, we’re in a good place with first party. We got Mafia II coming up, we got Spec Ops coming up, and L.A. Noire. The other thing that has impressed me about the show, for all the companies that is focusing on fewer, better titles, the quality out of the show that I see today is massive. You don’t see a lot of pedestrian efforts. I am happy to see that–it’s really good for the industry. And the consumer ultimately benefits. Sony is pushing gaming on 3-D televisions. I think Sony is pushing 3-D on everything, not just gaming. It’s an exciting technology. We’re going to incorporate 3-D into our NBA 2k basketball game, it’s going to look really cool, and is going to be a really cool experience. Our hope is that 3-D grows really quickly. I’m pretty sure it’s going to be successful, I can’t really call how long it’s going to take to be successful. But we’ll watch it closely and we’ll develop for it. For now, we’re really excited that NBA‘s part of that, we’re excited to be part of it. A major narrative at this conference is PlayStation Move versus Microsoft’s Kinect. How is your Take-Two approaching these platforms? I don’t think of it that way. Our company is focused, as it’s always been, on deep, immersive interactive entertainment. And interactive entertainment has always been about how best to exploit the hardware with which we have to work with. Innovative in hardware almost always leads to innovation in software. These are new areas for us to delight the customer. Move is exciting for us because you really got a fine motor control that we think we can really utilize, especially in basketball. Kinect is exciting because no controller is required–I think the dance game they have out, the exercise games they have out, are awesome and really exciting. I want to use them. From a third-party perspective, it’s all complementary. It’s not one versus the other. It’s all opportunity for us, it’s all upside. 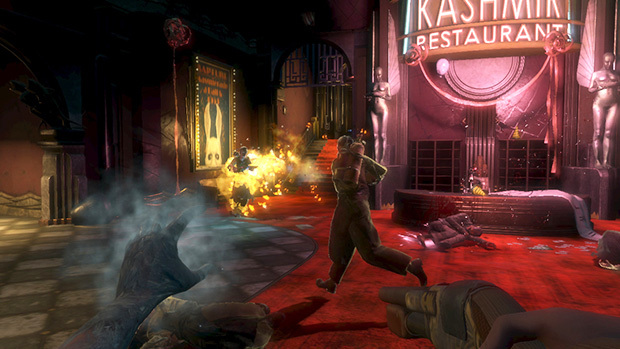 Bioshock received a lot of attention for story and originality, but with Bioshock 2 you pushed the multiplayer. Why did you make that choice? We went there because the consumers asked for it. They loved Bioshock and wanted more. So, we delivered more with Bioshock 2. They specifically asked for multiplayer. I think it was the right thing. I think it served consumers’ needs. I think Bioshock 2 was true to the brand, to the franchise. To it’s core audience, it was a great game, including the multiplayer. Bioshock had a lot of downloadable content. Many companies are using DLC to extend the life of their games. DLC has got a lot of benefits: Consumers want it, and from an economic perspective, it allows us to expand our margins. It extends the value of the community and fan base for a longer period of time. I think Borderlands hit it out of the park with DLC. Not only was it extra content, but the content was so awesome–each one was better than the last. It’s doing everything DLC should be. You go, “Wow, that’s great; can I have another one? And another one? And another one?” It’s hard to extrapolate patterns out of that, but if you were to extrapolate a pattern, it’s the beginning of true episodic content–the way TV is, as opposed to movies. Once you get a fanbase and a community going, continue to develop episodic content, we think it’s pretty exciting. With Borderlands, we really didn’t see tail off from one DLC to the next. It found it’s audience, catered to the audience, and delivered great product after great product. We’ll be looking to replicate that in future games as well. What is the state of Take-Two Interactive? Alan Lewis: Our company is much more diversified today, than any other point in time in our history. We have incredible franchises, continuing to put innovative products on the market, we are looking at all the various distribution channels. There’s a foundation there that people may not always see in its totality. If you take a step back and you look at the franchises, look at the brands, look at the catalog, and our solid balance sheet. In the last three years since our management team has been on board, there has been incredible forward movement–what’s going on, what’s coming in, bodes equally well for where we hope to continue to go. The key charge to make great content, that’s what this industry is about. It’s always been about a great game experience. If you never take your eye off that ball, other things take care of themselves. If you never lose focus of that, and never underestimate your audience, and always aspire to not only delight your audience, but take them someplace they’ve never been, good things will follow. Last April, Roger Ebert stirred up a tempest in a teacup with his comment that gaming can never be art. If you could give him one game to change his mind, what would that be? Ben Feder: It’s hard for me to pick one game, because I love all my children equally. Some of our games are really product, but some of the higher end games–just show him one. Show him Borderlands, show him Red Dead Redemption, show him Grand Theft Auto 4. These are beautifully set, cinematic games with character development, storyline development, beautiful setting. Red Dead is such an awesome setting; you just fall in love with it. I don’t know how these games can be anything but art, and an expression of art. I am personally gratified to be in business with guys that can create that, that have that talent and that foresight and that vision to create beautiful works of art. Alan Lewis: I think there are a lot of mainstream critics in other forms of entertainment that have said similar things, “Rock and roll is not music. This isn’t the standard we are used to.” When Star Wars came out, “This isn’t a movie; it’s gadgets and gizmos, special effects.” First you have to sit down and play a game. It’s a very different experience, and if you’re used to consuming and commenting on media that’s passive, your expectations are different because you’re wanting the entertainment experience to sweepingly take you somewhere. In a game you want to be taken there, but once it gets you there, you are on your own, now what are you going to do? Part of the argument is, has Ebert played any games? Has he played any good games? It’s very unfair for someone to categorically say something isn’t art. I think it does a disservice, to not only to our industry, but to the storytellers and artists that work within our industry. People that create games are essentially painting on a different canvas. Is a director less of a director because he’s directing for television as opposed to film? I think the creators of Lost would have something to argue about that. Is someone who writes for a magazine column less of a writer than someone had a daily newspaper or a blogger? You can’t paint a broad stroke and say something’s not art or something’s not of value. For more with Ben, read the E3 posts on Art in Gaming and Financial Threats to Games. Check out more interviews from E3.